Together since 2014, STARMAN: The Bowie Tribute was recently chosen as one of the top 10 NJ Tribute Bands by both NJ 101.5 and NEW JERSEY MONTHLY. STARMAN presents the entire David Bowie Experience, covering all stages of his career. This includes mid-set costume changes -executed flawlessly- to represent his ever evolving stage personas and musical styles. Performed with much humor and a deep love of his music, the concert is authentically presented by an ensemble of 7 dedicated musicians who perform David Bowie’s catalogue with care, reverence, and impeccable attention to detail. STARMAN’S extensive song list gives the band the flexibility to change up their sets at every show – rotating the unexpected, jaw dropping cuts, while still keeping the best known hits. NO STARMAN SHOW IS EVER THE SAME!! It is an understatement to mention that David Bowie’s music is incredibly popular and well-loved by all. This was never more evident than in the news coverage upon his passing. 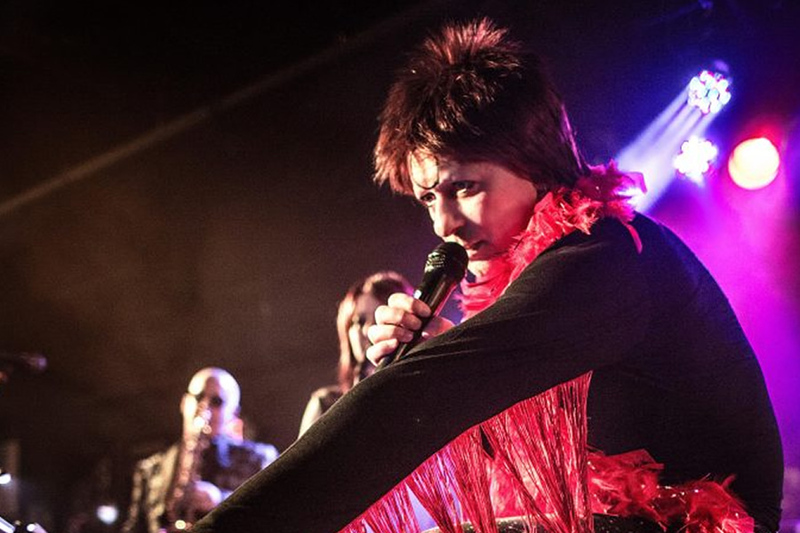 Others have recently come up with heartwarming tributes featuring various artists paying their respects to the legend that is David Bowie, but only STARMAN recreates the Bowie sound, the Bowie look, and the Bowie stage show. ……and many other quality rooms, venues, and festivals.